A stunning collection of cabbage recipes includes a pickled red cabbage recipe from Josh Eggleton, a pork belly and cabbage recipe from Mark Dodson and a gorgeous duck leg and cabbage recipe from Andy Waters. Cabbage is part of the Brassica family, and is closely related to vegetables such as broccoli and cauliflower. It is high in vitamins (especially Vitamins C and K) and also in antioxidants. There are a number of varieties of cabbage including white, red, savoy and the Asian staple, pak choi. Cabbage isn't favoured by many, and one of the reasons is because it can tend to smell if overcooked. 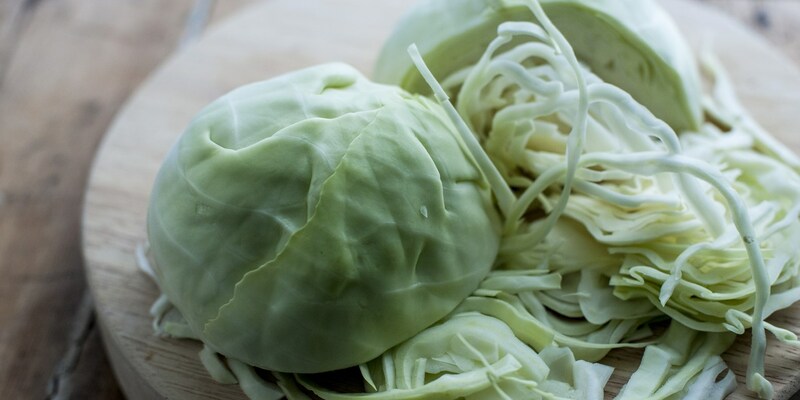 Our article on how to cook cabbage can give you some tips to prevent this happening, and you can find out how to cook red cabbage specifically as well.